Windows is the best platform for technology in education. It helps students and teachers do great things. PCR Tablets are truly PCs in tablet form; they offer the tablet experience with the advantages of a laptop. Every PC Revolution tablet runs on Windows 8.1 and comes with Office 365 – Proven software from technology giant Microsoft. Read about some of the features that can help you below. Microsoft Office empowers teachers and students with a range of powerful tools. Find out what tools you have access to tith PC Revolution and how they support effective learning and discovery. 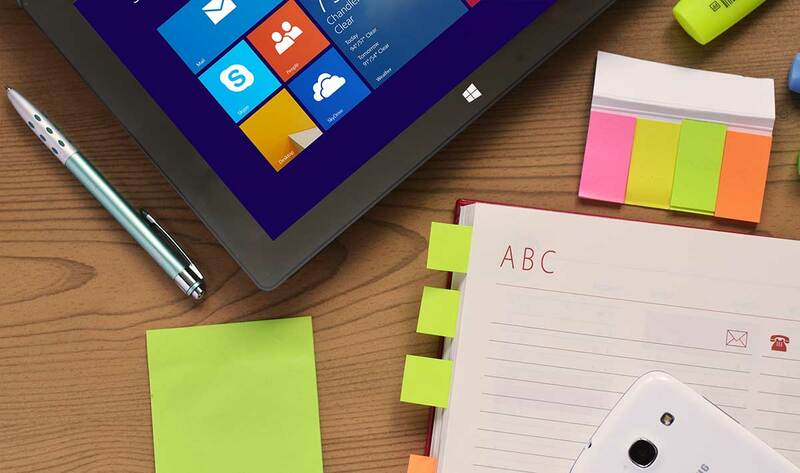 Microsoft OneNote allows you to see all your notes on all of your devices. It also allows collaboration between classmates or teachers. See how PC Revolution Windows 8 Tablets outmatch the Chromebook in ta side-by-side comparison. Want to learn how to use your tablet better? This tutorial covers using touch, the keyboard and a mouse with your Windows Tablet or PC.